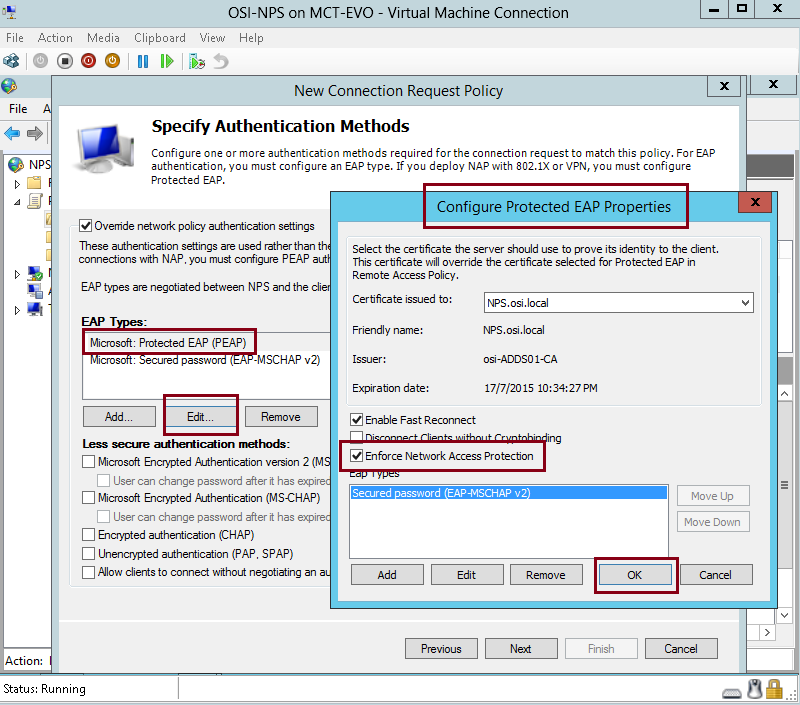 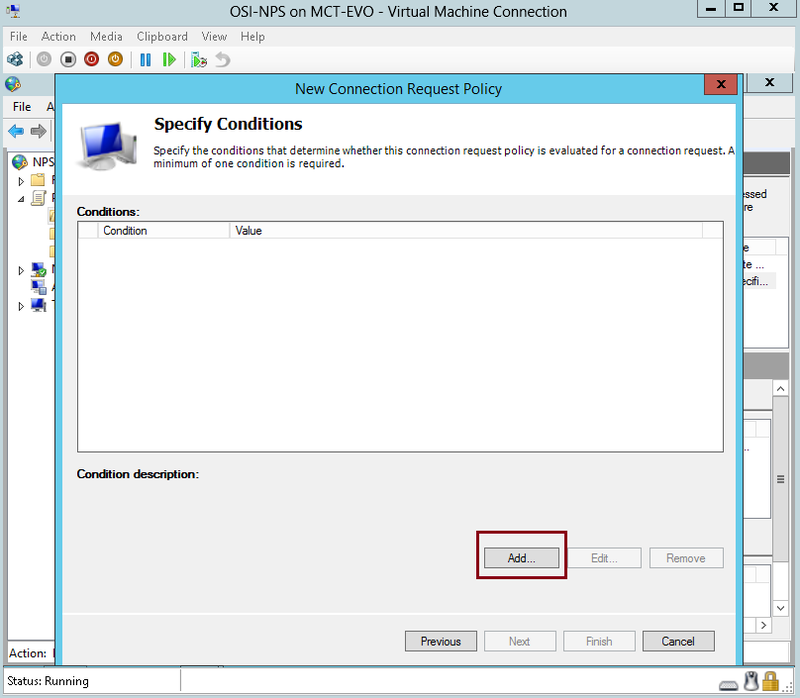 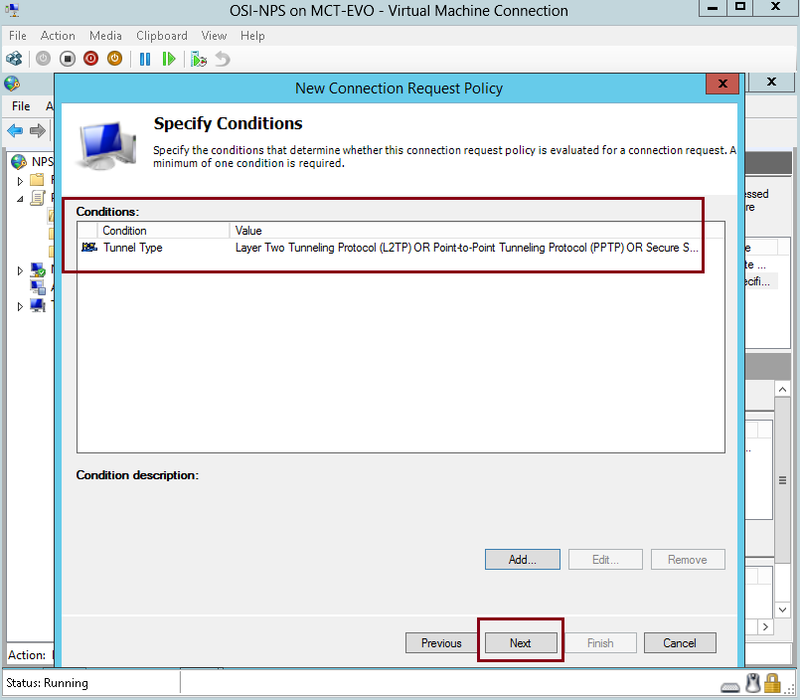 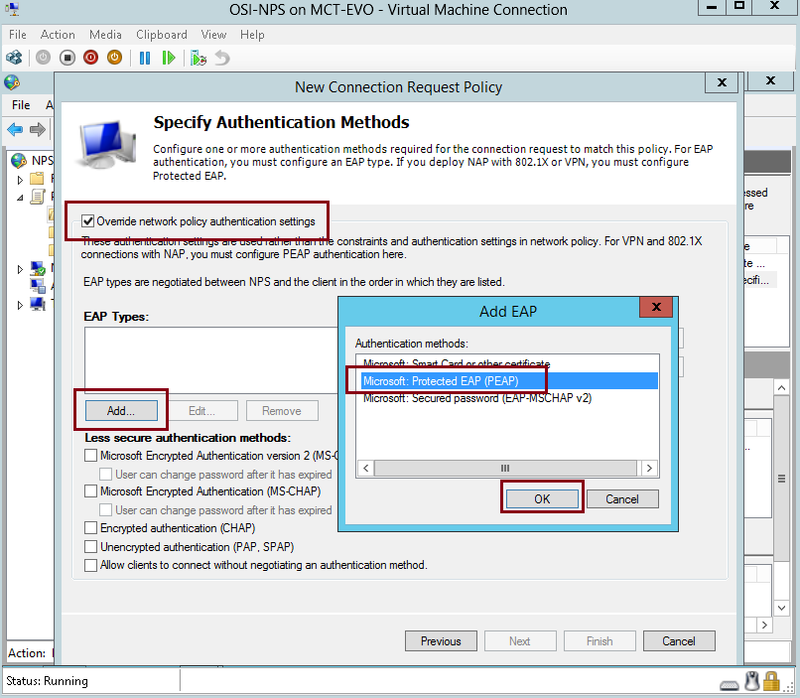 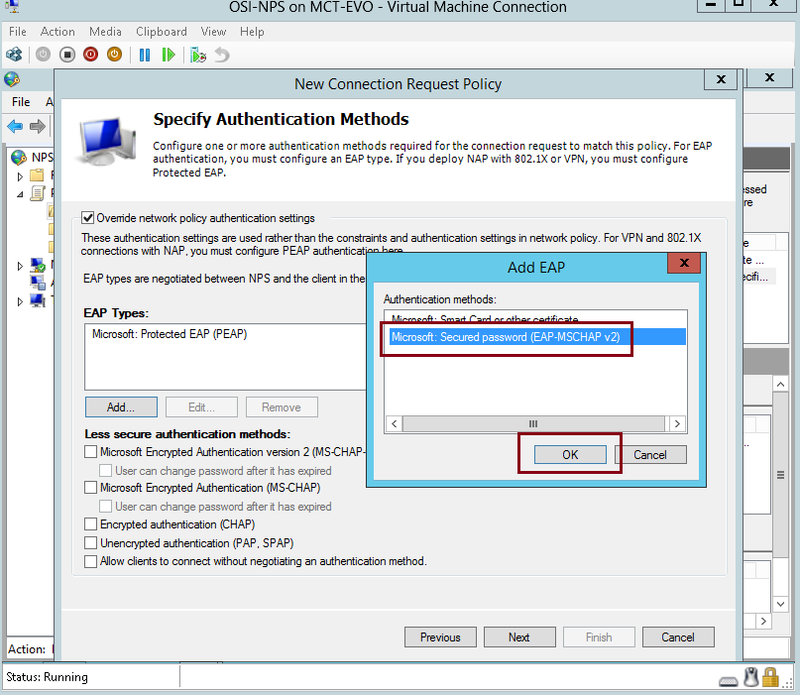 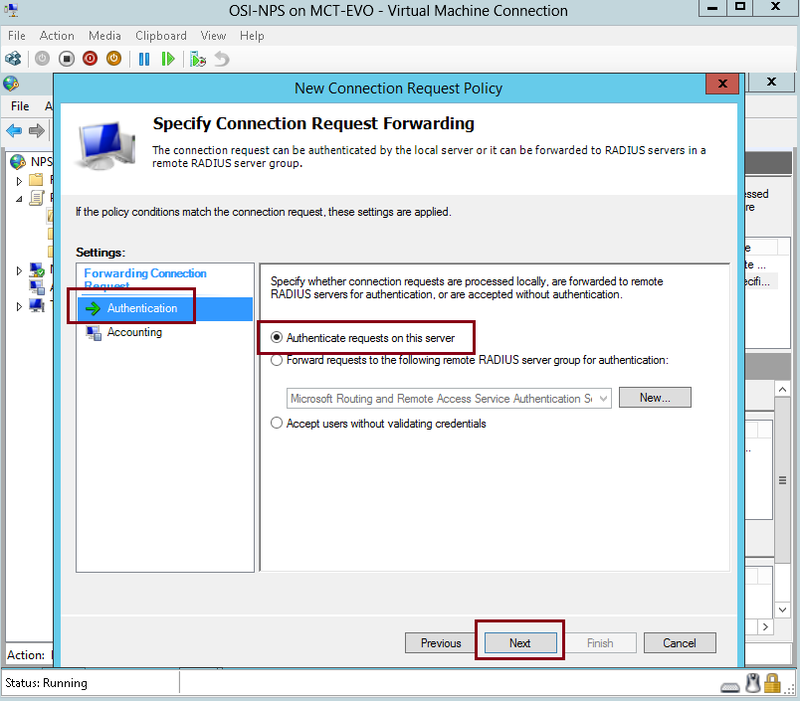 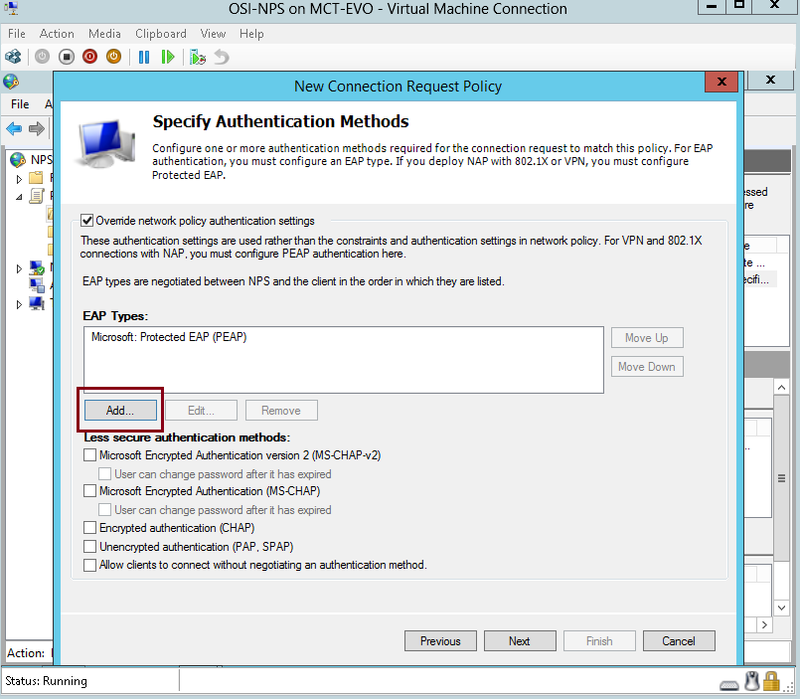 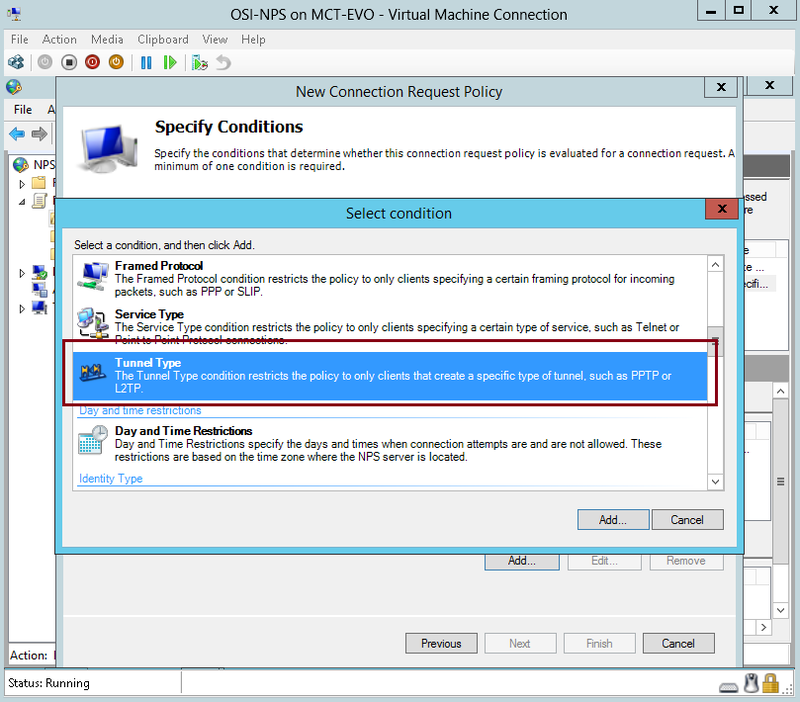 Step by Step : Network Access Protection (NAP) Deployment in Windows Server 2012 R2 – Part 4 of 7 (Configure Connection Request Policies for VPN) | Just a random "Microsoft Server / Client Tech" info..
“Connection request policies are sets of conditions and settings that allow network administrators to designate which RADIUS servers perform authentication and authorization of connection requests that the NPS server receives from RADIUS clients. 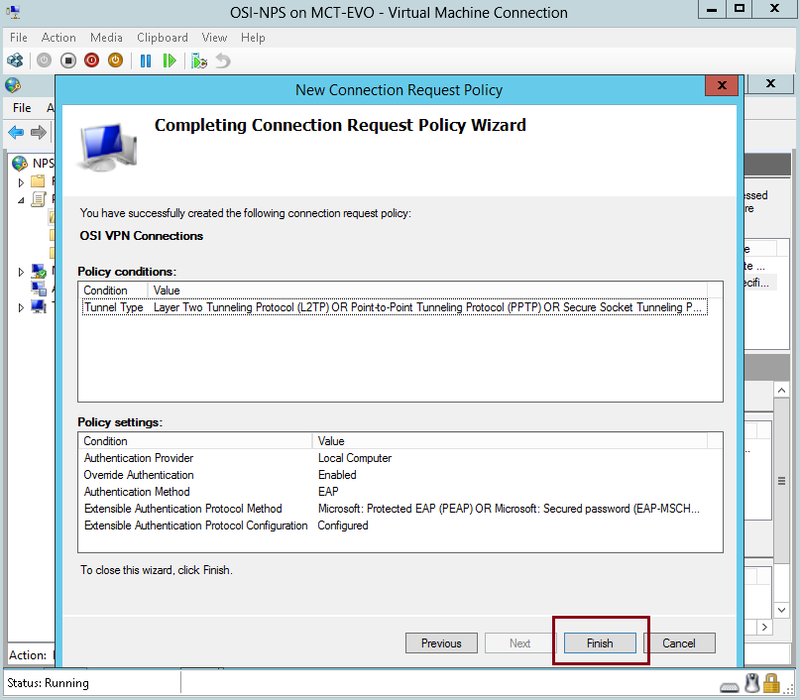 You can configure connection request policies to designate which RADIUS servers to use for RADIUS accounting. 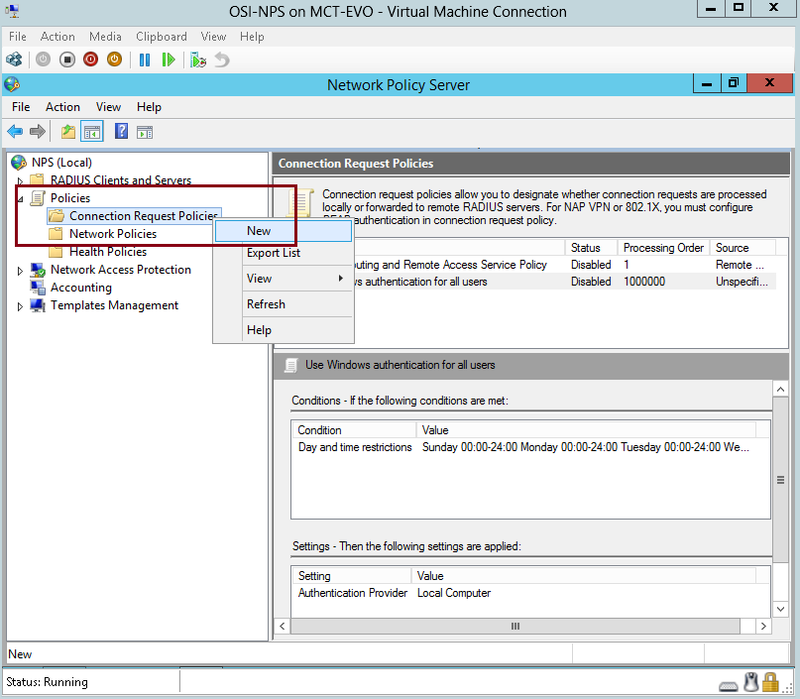 The time of day and day of the week. 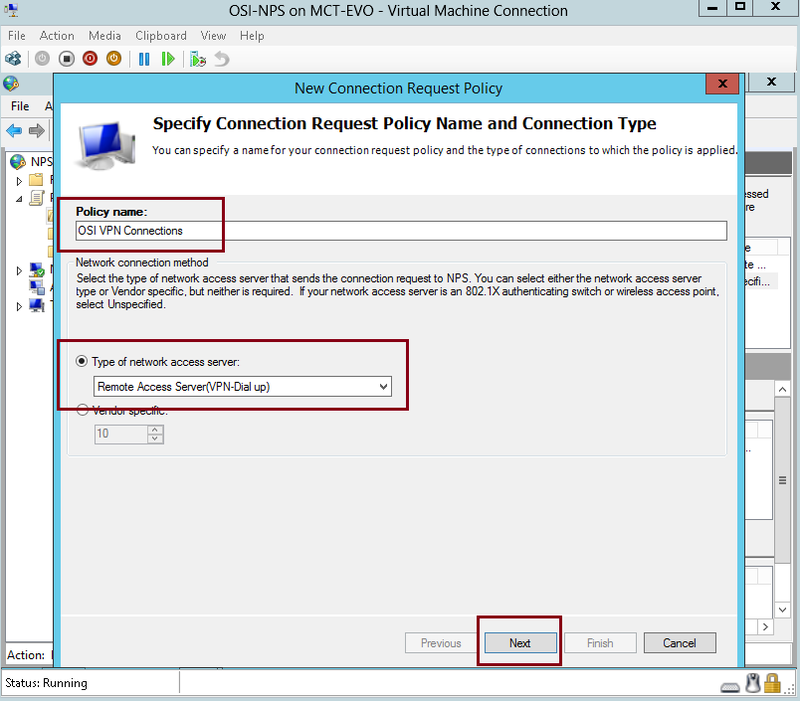 The realm name in the connection request. 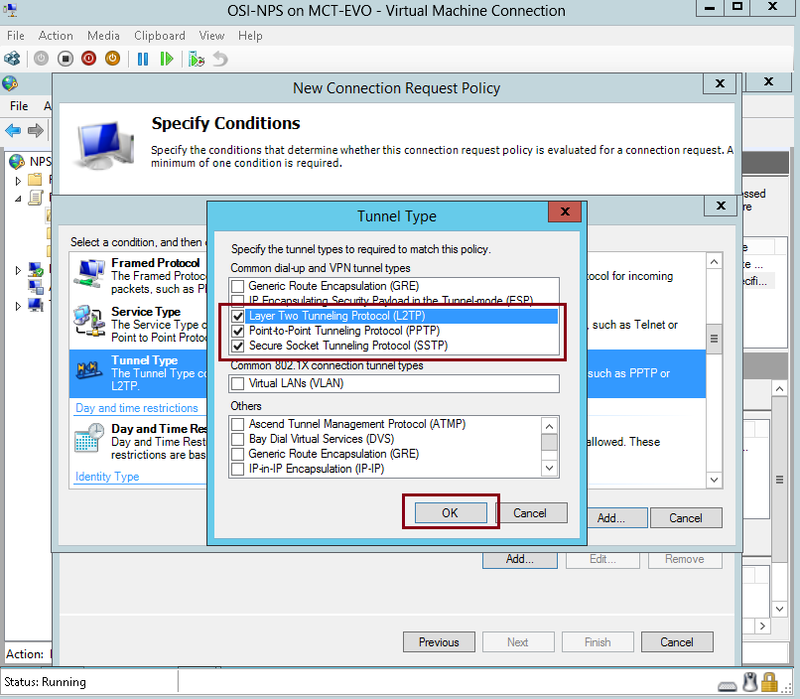 The connection type that you are requesting. 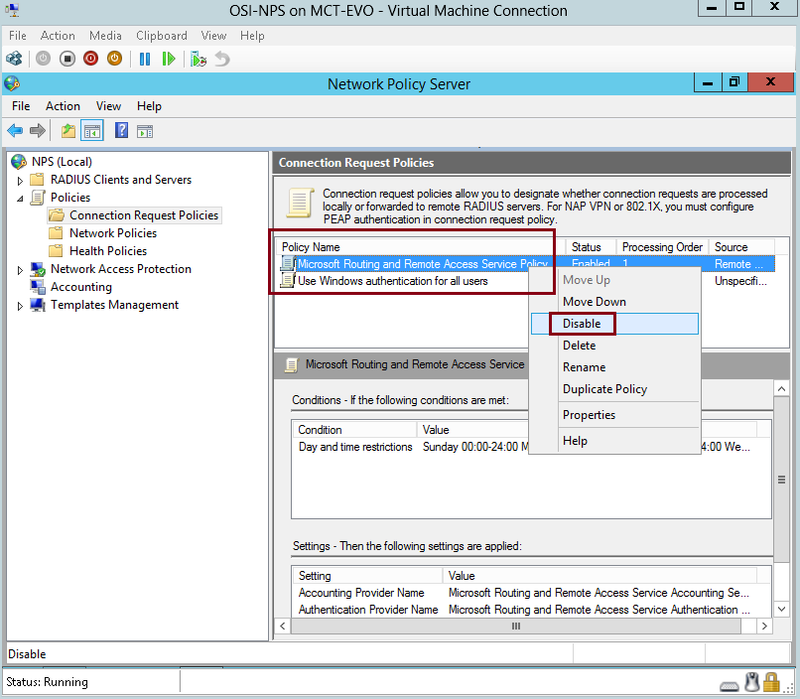 The RADIUS client’s IP address.